This quick marinade tip was a fluke. Many years ago I was making Rosh Hannah dinner. One cousin doesn’t care for red meat and won’t eat the brisket, so I make something else as a second entrée. One year I was running behind and needed something quick. I grilled chicken and as soon as the chicken came in to rest I poured an herbed lemon juice over the chicken. The resting time allows the denatured proteins to coagulate again and when they do, they trap this flavorful liquid. My cousin and her husband loved the dish and she asked for the recipe. When I told her what I did, she didn’t believe me. It was too simple for something that tasted that good! 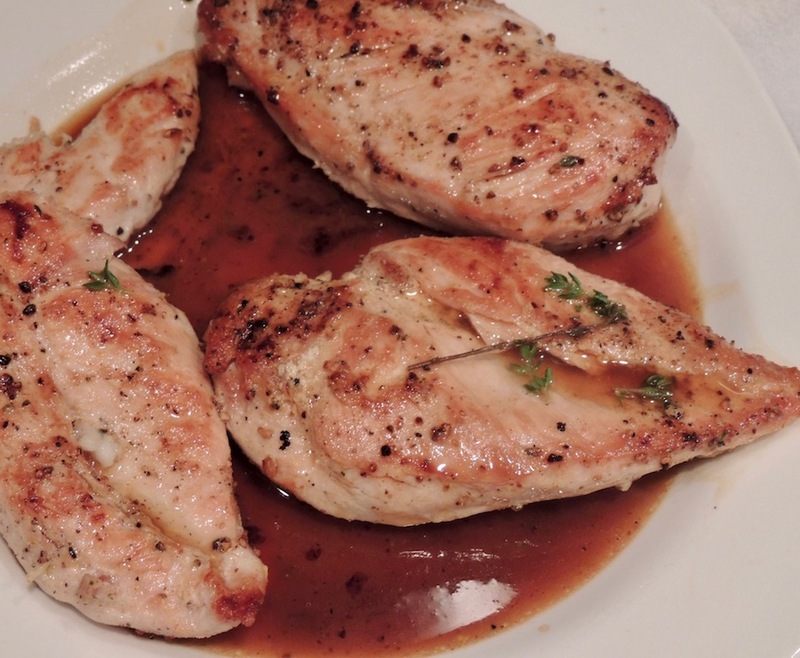 I sautéed these chicken breasts recently and added a generous splash of wine (rosé was open, red or white is fine – is just a splash) and deglazed the pan. The delicious brown tidbits in the bottom of the pan dissolve with the liquid in seconds. I poured this over the chicken and then the lemon marinade above. You can do this, too. 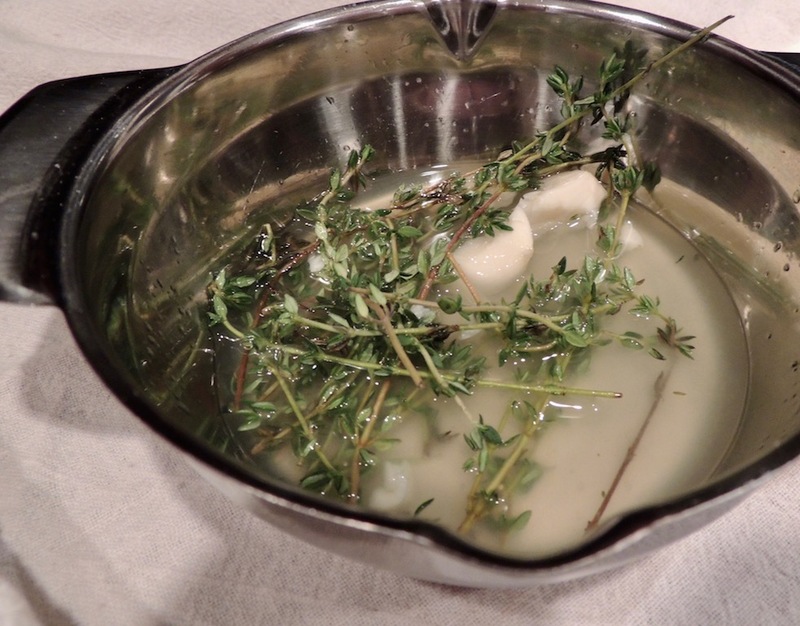 Simply juice a lemon, throw in some thyme sprigs, a smashed clove of garlic and toss these together. Pour this over the chicken after cooking and let rest for 5 minutes. Use lime juice and garlic – sprinkle with chopped cilantro for something different. Combinations are endless. Watch the Quick Marinade Trick Video Here.